They are a small community, but they have a created a niche for themselves in S'pore. The Hainanese community makes up less than seven per cent of the Chinese population in Singapore. But even though they are a relatively small group, they have created their own niche, especially in food. Here are five reasons why it is cool to be Hainanese. If you are one of those who require kopi (real Nanyang coffee, by the way) to properly function as a human being, then you need to thank the Hainanese for the kind of kopitiams (coffeeshops) and coffees that you love, and are nostalgic for today. Thank the Hainanese for Kopi. Source. They started the Hainanese kopitiam trade just after the Japanese Occupation (1942 to 1945), when rental rates were affordable, which began their reign on kopitiam culture in Singapore, before the hipsters came along. Oral History Interview Accession Number 000287 can be found here. As pioneers of the kopitiam trade, the Hainanese are generally acknowledged as people who brew the best coffee in Southeast Asia. Don’t believe it? Check out Ya Kun or Killiney Coffee because their owners are Hainanese. Hainanese immigrants were among the last Chinese communities to arrive in Singapore, after the Teochews, Hokkiens, and Cantonese. Unable to break into the businesses dominated by the other dialect groups, the Hainanese took up jobs as servants (runner boys) and chefs for the British colonial masters. Servants for a colonial household. Source. Over time, they managed to hone their skills and reputations as purveyors of good taste (literally) and cooking. 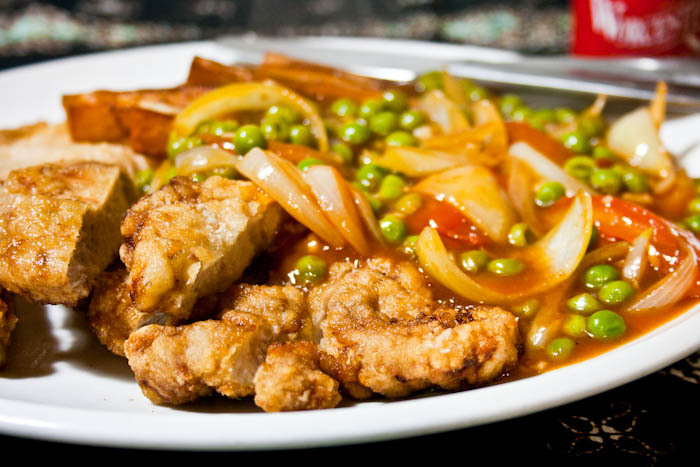 From Hainanese chicken rice to Hainanese-inspired Western dishes (think Hainanese pork chops), there’s really no denying that Hainanese-created food is awesome. Just take a look at these. 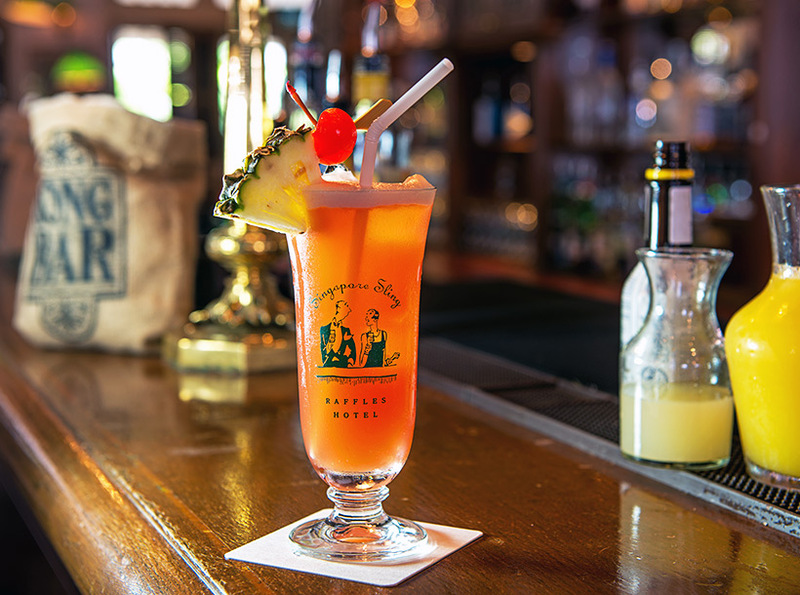 The Singapore Sling was created by Hainanese bartender, Ngiam Tong Boon, at Raffles Hotel in 1915. The iconic cocktail was designed to be an alcoholic drink for ladies disguised as a juice-based drink. It enabled ladies to drink alcohol in a public place at a time when such an act was socially unacceptable. The area around Bras Basah was a Hainanese enclave. Hints of the old Hainanese locale in the form of the Hainan Clan Association can still be found in the area today. Fun fact: The Hainanese used to refer to Middle Road as “Hainan First Street”, Purvis Street as “Hainan Second Street”, and Seah Street as “Hainan Third Street”. Oral History Interview Ascension Number 000334 can be found here. Interview is in Mandarin. Zip round to Bugis Junction Shopping Mall and you’ll find a pedestrianised street which is the reincarnation of old Hainan – Hylam Street. Today it is an air-conditioned, cleaned up shell of its former self – a gritty street just a stone’s throw away from the (in)famous old Bugis red-light district. As with every other dialect group, the Hainanese value family and clan relationships. They are always looking out for one another. – Mr Han Tan Juan, Head of Cultural and Education, Singapore Hainan Hwee Kuan in a Oct 29, 2009 AsiaOne article. In the past, Hainanese employers would help their fellow clansmen by employing them for culinary jobs. To improve the skills of its community members, the Hainanese clan association also offered night classes to help improve their skills, which led to better employment prospects. The Hainanese may be a relatively small group among the other communities in Singapore, but they sure have talent. That’s something to think about the next time you’re savouring that kaya toast. Top photo of a Hainanese kopitiam adapted from here.